Hit items, created through continuous challenge! We have always created new items using our own materials and also collaborated with various designers and industries from kids fashion brand to schools so to create something new and market, using our technique, facilities and knowhow. Always we take time to share idea and think what we can do with our factories and staffs and what we create together become new hit items of our Makita brand. We introduce our newest brand called "repel", meaning water proof. Ms.Kanna Ugai, who used to work with us when she was student of Tokyo Zokei University through collaboration program "Fujiyama textile project" to promote co-working between craftsman and students. 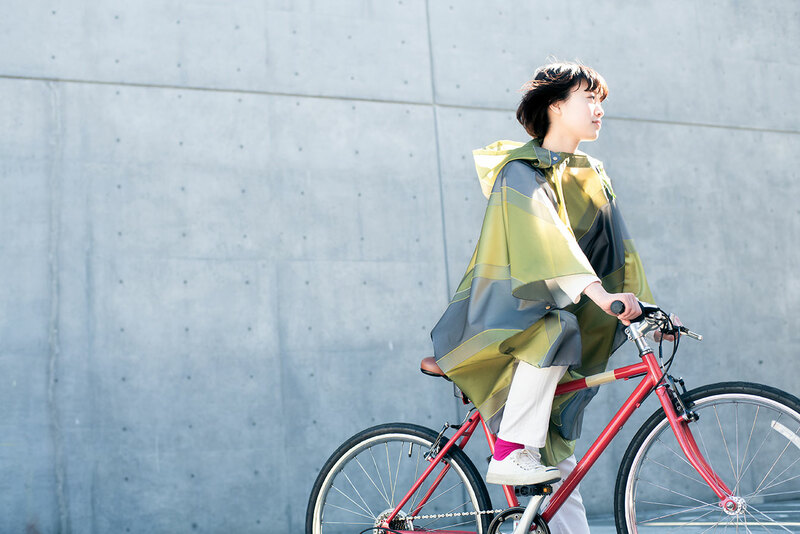 We invite her as the main designer of this new brand to create essential items for rainy days. "fusion" Rain items for mom and kids. Fusion is our new brand, created from the collaboration work with frankygrow, popular kids fashion brand from yamanashi. Our iconic textural jacquards of water repellent finish meet with simple pop brand image of frankygrow and turn out to charming umbrellas, bags and ponchos for rainy day! Kids fashion brand from Yamanashi. Simple pop is the brand concept and its colors, materials, and patterns are uniquely fun. Manufactured in Japan. We have worked with textile department of Tokyo Zokei university to create new design together and through this activity, this project ~sai~ was born. 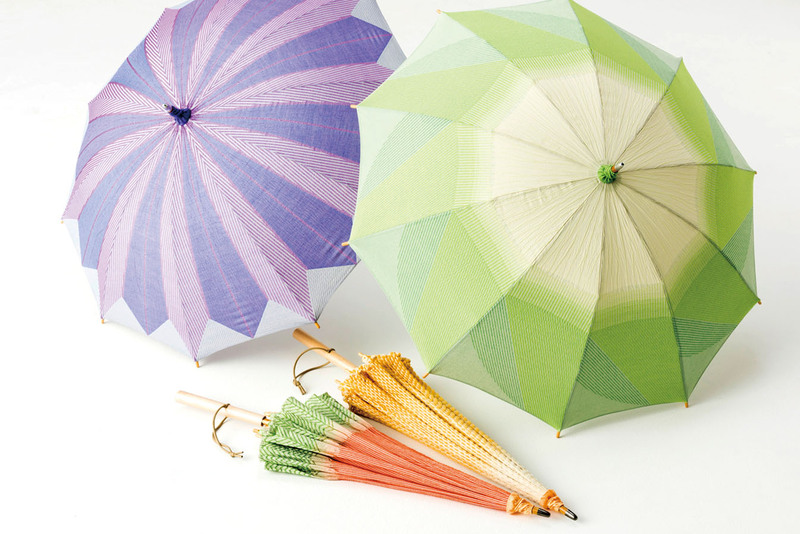 Focusing on the beautiful textural textile using stretch yarn, she proposed to create umbrellas like corn and carrot. Through this project, she decided to move in the region and started working in Makita shoten and now she becomes our textile designer and sai becomes our hit item!